Ebury Press is delighted to announce the acquisition of two books from the hugely popular MasterChef 2012 winner Shelina Permalloo. Sunshine on a Plate will be published by Ebury in June 2013. Sarah Lavelle, Senior Editor at Ebury Press, acquired world rights in a two-book deal from Jonathan Conway and Jonny McWilliams at Wasserman Media Group, after an auction involving nine publishers. Shelina Permalloo said: “I'm so excited to be working with such an amazing publisher and to have the chance to bring fun, accessible and tropical recipes to eager home cooks. 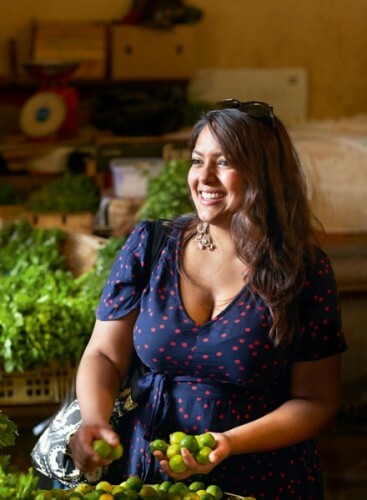 I’ll be combining my take on some simple recipes and home classics with introducing Mauritian food to the UK." Shelina’s first cookbook, Sunshine on a Plate, will showcase her unique brand of Mauritian home cooking, with simple dishes given a delicious new twist. With an emphasis on fresh-tasting vegetable dishes, curries, pulses and rice dishes, simple preserves and of course, from the ‘Mango Queen’, amazing desserts, Shelina’s book will introduce home cooks to the flavours of Mauritius.